“For many…live as enemies of the cross of Christ. Their end is destruction, their god is the belly, and they glory in their shame, with minds set on earthly things. But our commonwealth is in heaven, and from it we await a Savior, the Lord Jesus Christ, who will change our lowly body to be like His glorious body, by the power which enables Him even to subject all thing to Himself” (Phil 3:15-21). We grieve for those who live as enemies of the cross of Christ—focused completely on this world and the things of this world. What an empty existence that must be—full of earthly pursuits, possessions and preoccupations, yet always aware of the gnawing emptiness that is life without Jesus Christ. And yet, we have no fear of death, either. When that time comes, the Lord Jesus will change our lowly, mortal bodies to be like His glorious body, by the power by which He is able to subject all things to Himself. While we can hardly imagine what that might be like, we trust God and His Word and as we are in the midst of Holy Week, our minds reach to eternal things. As we ponder our Lord’s death and resurrection, let us remember and pray for those who may be “enemies of the cross of Christ, with minds set on earthly things.” Let us not rest till we have done all we can to invite all of those into a relationship with the Lord Jesus Christ! Reading: Almighty God, we pray for those who are even now, enemies of the cross of Christ. 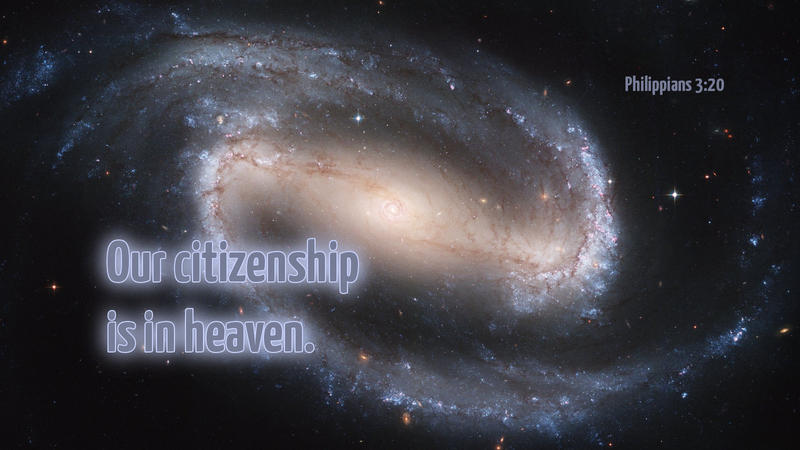 Bring them to the sure and certain knowledge that their commonwealth is in heaven, not on earth. Amen. Where there is no hope, there is no peace. Without Christ, there is no hope nor is there any peace. This Passion week is our week to celebrate.